Date: Jun 15 2018, 5 p.m.
Friday, June 15, 2018 starting at 5:00 p.m. 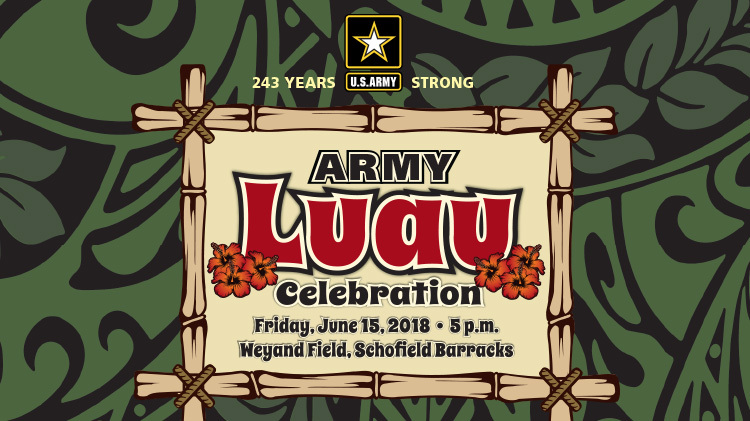 Celebrate 243 years of the U.S. Army with a world class Luau event. Immerse yourself with Hawaiian cultural activities and demonstrations. Taste traditional Hawaiian food and enjoy live entertainment including an Army Tribute Concert. a performance by Ron Artist and a Luau show.